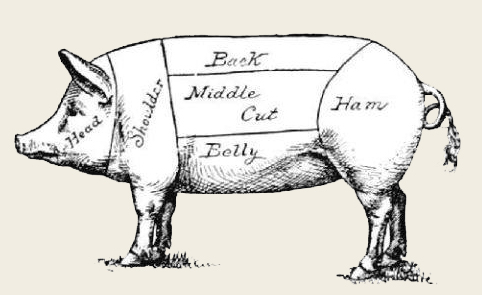 Moose Springs Farm pork is a heritage blend of two breeds known for grazing. In the summer our animals have a diet of local non-gmo grain and grass pasture. During the winter they eat non-gmo grain, fruits, and vegetables grown here in the valley. Friends with small orchards bring us apples or squash and pumpkins from their gardens. As a result our pork consistently has amazing flavor and is fork tender.